I got these two stories as free thank yous for signing up to Lisle’s newsletter. Both are short, and they are two different types of stories, although both are science fiction. Squick Studies: This is a bit of an odd story. It fits into Lisle’s science fiction world without being an integral part of it. It is, in some ways, an exploration of some of the backstory, or side story, of parts of the main. It’s part genetic manipulation, part alien study, and part love story gone wrong. It has strong science elements, and rolls over into a little horror at times. It’s also a quick read since it is quite short. I enjoyed it, even though it got a few “ewws” out of me. Last Thorsday Night: This is more straightforward time travel sci-fi. It involves a would-be author who meets a new member of her writers’ group, The Thorsday Night Writers. He, it turns out, is a time traveler who is also a fan of her books, which have been published in his time and are bestsellers. The problem is that the books were originally sold because she was brutally murdered on this night in his past, and her on again- off again boyfriend published them. He’s come back to warn her, and she’s faced with the choice of dying and becoming the popular author she always wanted to be, or avoiding the attack and perhaps never finding that success. Nothing deep or unexpected here, and the ending is the happy one you want, but the story is cute and again, a nice, fast read. Reminder: My books are all on sale at Smashwords until the end of the month. 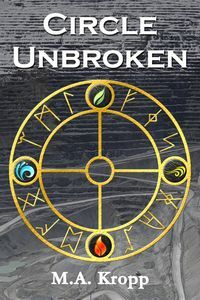 Circle Unbroken and Six of One are half price. The others are free! I hope you will look at them and perhaps decide to buy and read one or two. Remember- reviews are always appreciated! Next ›Tuesday Thoughts: Begin the Chili Season!